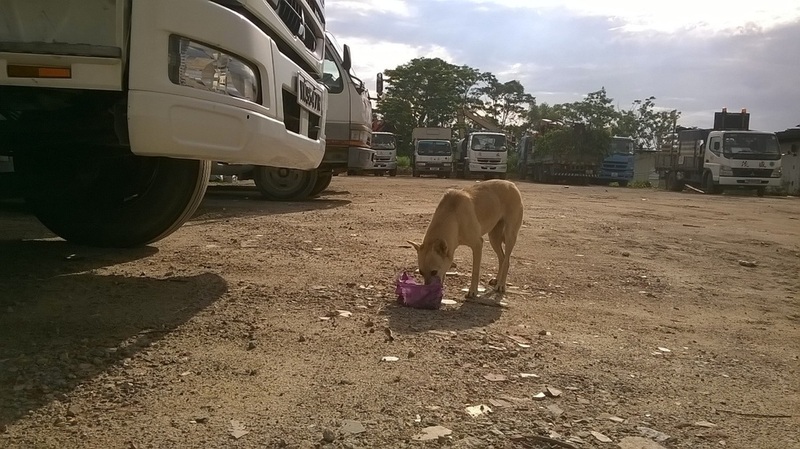 Whitey is a street dog that came to the site to join one of the existing packs. He is a mild quiet boy and keeps to himself a lot. He is also very wary of people. CAS is a registered charity and an Institute of Public Character (IPC) in Singapore. Donations made to us are entitled to tax relief if your Tax Reference Number (NRIC/FIN/UEN) is submitted to us at time of donation. Tax-exempt receipts will be issued in the month following payment. For Paypal donors who do not enter their TRN: the confirmation sent by Paypal will be an acknowledgement of your donation. No CAS e-receipts will be issued. Help sponsor her stay in our kennels. Sponsorship helps cover food, including special diets, healthcare such as vet visits, worming, flea and tick treatment, heartworm preventative and also goes towards any adoption costs, transportation and rehabilitation training if needed. Blacky will be taken off the streets and after a quarantine period will be introduced into our Kennels. She will then enter into our health and rehabilitation program helping her become a more adoptable dog. She will learn how to walk on a leash, basic commands as well as learn to trust people and play. Our sponsor program allows you visiting rights by appointment. We encourage you to come and spend time with her and show her how good people can be, bring him treats. Blacky will love it. As Blackys sponsor you will receive your personalised certificate and regular updates on her adventures and progress. Sponsorship allows an animal to be sponsored by more than one person. A sponsor may identify with a particular dog or cat after visiting the shelter or our web site and they may already be sponsored. Rather than restrict love, we believe having more people that care, gives the animals a better chance at having a new life. We treat all animals in our care equally whether sponsored or not. Your gift is used to help all the dogs and cats including the one you have chosen to sponsor. Management and use of all donations are in keeping with accepted accounting principles and the Charities Act, Singapore guidelines. We are determined to be known for our high ethical standards and our commitment to transparency and openness.